A Smart Algorithmic Player & App For Enhanced Personal Development, Habit Hacking, Multi Level Narration, Super Learning and more. Dynamically compiles words and phrases into meaningful syntactic sentences using a proprietary sequencing process. Fuses and intermixes sentence styles and syntax creating new meanings and variations on multiple levels. 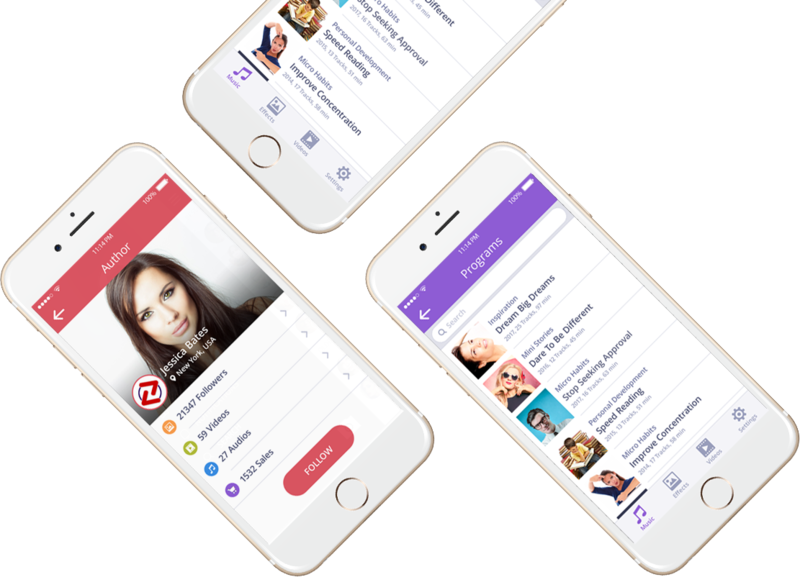 Plays an almost infinite variety of niche related “lean” content perfectly tailored for the mobile generation. 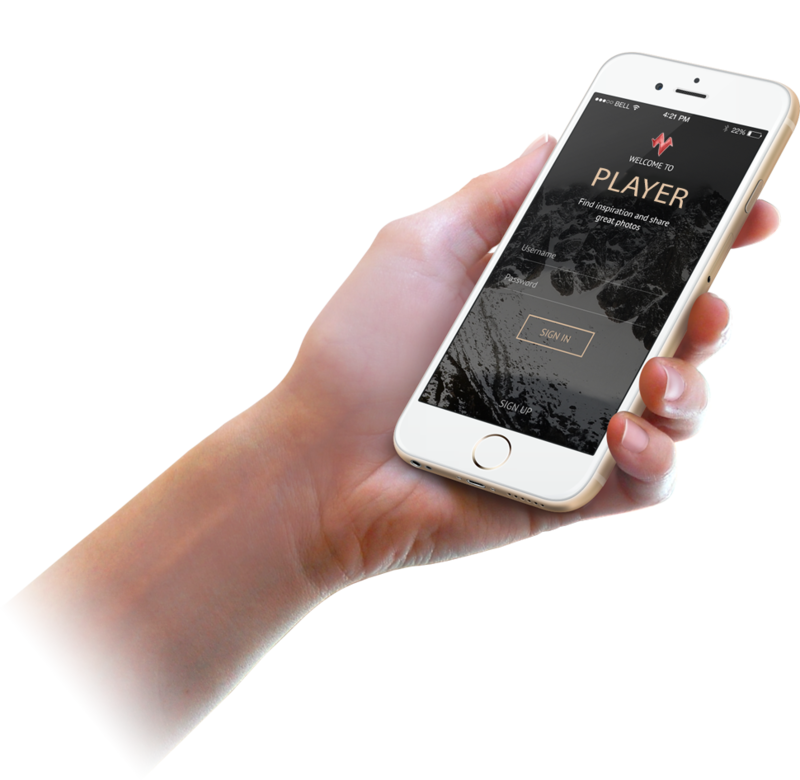 Player.is is an algorithmic HTML audio player that generates random logical phrases and plays them in perfect syntactic order. It compiles random words and phrases into syntactic sentences simulating hypnotic language patterns with correct syntax and grammar and re-arranges narration sequences automatically every time the player generates a new track. It generates over 1 million unique logical sentences from only 100 short audio files and runs in any kind of browser on any kind of online connected device with any screen resolution. Specially crafted affirmations structured by advanced psychoactive principles that lead to extraordinary results. Based on advanced skill-building and motivational protocols that are the most effective for holistic change according to the worlds top experts in this field. Personal development is a lifelong process and thus the classic evergreen product niche. A faster “leaner” method for life optimization by making the pain and transition of change as easy as possible. Based on a powerful method developed by Georgi Lozanov to improve language acquisition by 300%. A creative way to automatically process and generate an infinite amount of engaging mini stories. A simple way to generate an infinite amount of inspirational and motivational content. A vast uncharted territory of unique and creative “lean” entertainment for mobile consumption. A powerful technology to improve the relationship between the brain, language and the body. Small positive behaviors that you do every day proven to be a superior habit-building strategy. The ability to enjoy challenges, strive to learn, and consistently see potential to develop new skills. A natural state of selective, focused attention, and one of the most powerful methods to change the mind. The self improvement industry is estimated to be worth $11 billion in the United States alone. This growing market is expected to continue to see an average of 5.5% gains each year. In 2015, 94% of millennials reported making personal improvement commitments and they are willing to pay the price: While Boomers said they’d spend an average of $152 a month on self-improvement, millennials anticipated spending nearly twice that. This HTML player is the worlds first professional algorithmic audio player for smart content delivery.